PESHAWAR -- Pakistan has started issuing special entry passes to Afghan schoolchildren residing in border areas of Afghanistan and as a goodwill gesture to help them continue their studies in Pakistani schools nearby. The radio frequency identification (RFID) cards will be issued to schoolchildren living near the Pakistan-Afghanistan border who cross into Pakistan at the Torkham border post daily for their classes. The schoolchildren attend two schools: the Oxford Public School and Pak International Public School in Landi Kotal, Khyber Agency. Thousands of Afghans enter Pakistan daily at Torkham for health care, education or routine business. They have encountered border closures during downturns in bilateral relations and endure long queues in the best of times. 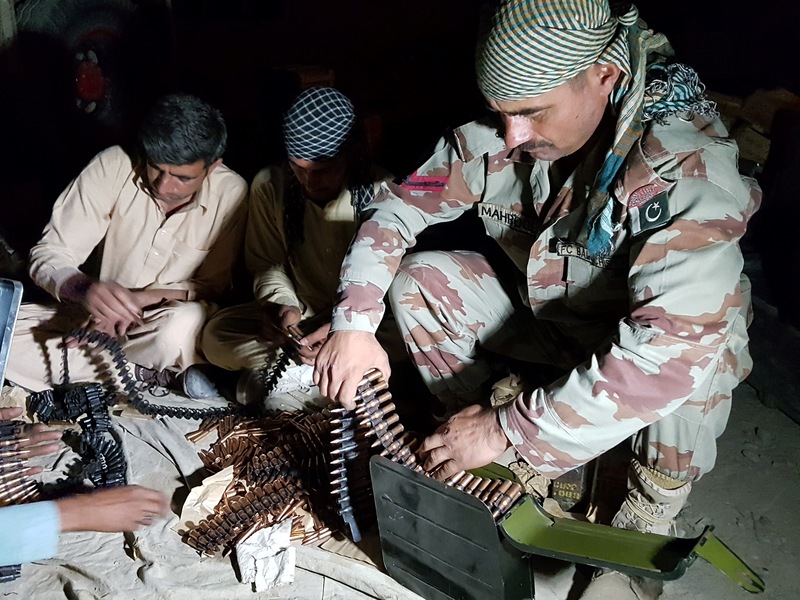 "The initiative was a goodwill gesture on our part ... with the aim of promoting and strengthening relations between the two neighbouring countries," Pakistani army Commandant Umar Farroq said July 20, according to local media. The RFID cards have coded information on each cardholder that can be read only at a special kiosk at the border, eliminating the possibility of misuse by an imposter, he said. Visiting schoolchildren reside within 20km of the border but originally came from as far away as Nangarhar, Laghman and Kabul, Shams-ul-Islam, Torkham naib tehsildar, told Pakistan Forward. The gesture was meant to help those schoolchildren more readily obtain their education, he said. Those children, equipped with RFID cards, can cross the border quickly by using a dedicated window, he said. "The decision, besides facilitating Afghan schoolchildren's education, will build confidence and promote brotherly relations between the two nations," he said. Khaksar, a fourth grader originally from Momand Dara District of Nangarhar Province, said he lost six months of schooling this year because of border tensions between the two countries. "I used to reach school in Pakistan in a mere 30 minutes, while the nearest school in my area took a one-hour drive," he told Pakistan Forward. "We recognise the importance of education if we want to achieve a respectable position in our society," Zar Khan, a sixth grader, also from Momand Dara, told Pakistan Forward. "Schoolchildren from border areas including Gardi, Maarko and Daaka are studying in [Pakistani] schools, and all want to continue their education whatever the conditions may be," he said. Pakistan's efforts to facilitate Afghan children's education deserve appreciation, said Shahab Uddin, principal of the Oxford Public School. "The step will not only strengthen relations between two countries but will serve to generate love between our peoples in the future," he told Pakistan Forward. "Children are the shared asset of a society, and their grooming through ... education will produce dramatic results," he said. "Providing Afghan schoolchildren easy and unhampered access to education will change their mindset ... paving a way for their mutual co-operation [with Pakistanis] in the future," he said. "Children are an invaluable human asset, and investment in [them] will produce everlasting effects," said Rustam Shah Mohmand, a Peshawar-based security analyst and former Pakistani diplomat in Afghanistan. "Treating Afghan children with love, ensuring them all the needed assistance to get schooling in Pakistan, will brighten the chances of co-operation ... between the two neighbouring countries," he told Pakistan Forward. Mutual respect and acceptance can be achieved if Pakistani authorities provide further assistance to Afghan schoolchildren seeking higher education in Pakistan, he said. "Scholarships to Afghan schoolchildren should be increased, with allocations of additional seats in technical and professional education institutions of Pakistan," he suggested. Its very good, Pak-Afghan relations are expected to get better through education.